Apptizer specializes in Kiosk and Mobile Order-Ahead technology. Apptizer leverages the kiosk and mobile order-ahead channels to drive more sales, enhance the customer experience, increase loyalty, attract new patrons, speed service, cut errors and reduce overhead. Merchants can rapidly create and deploy professional Kiosk apps and iOS/Android Mobile apps, customized for their establishments without being tech-savvy coding gurus. Apptizer also provides setup assistance for those who prefer immediate, ready-to-deploy implementations. 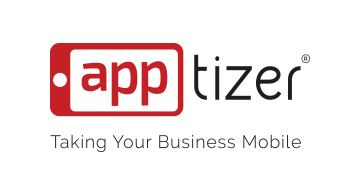 Apptizer brings in the last mile integration point through a native application by forming strategic partnerships with eCommerce and POS terminal vendors. Helpingthese vendors complete the loop with respect to offering an end-to-end digital experience to their customers. Apptizer is also certified on First Data Clover, Verifone Carbon, Poynt and Elo Touch.Current Apptizer gateway certifications include Apriva, Expinet (iPayment),WorldPay (CreditCall) and NMI white-label customers.